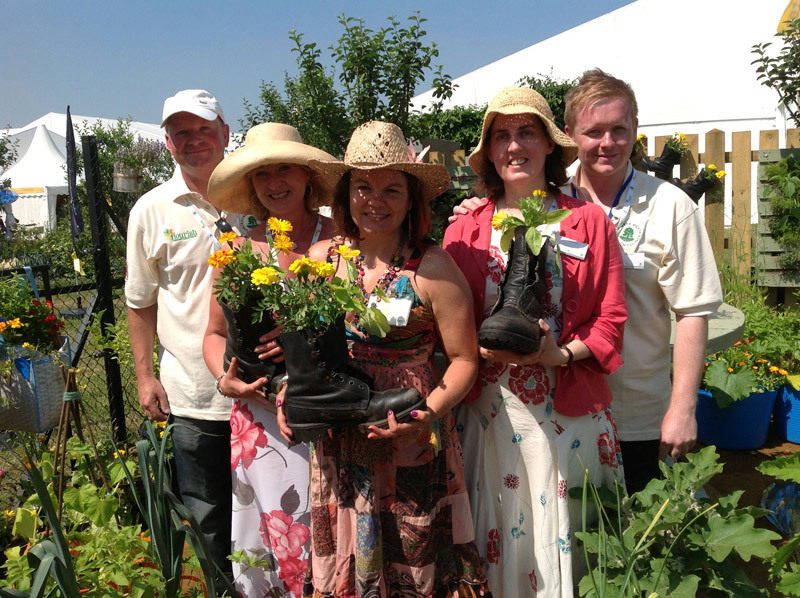 FAMILIES from Deepcut helped Surrey Heath Borough Council celebrate a huge achievement at the Hampton Court Flower Show, after their garden was awarded a silver medal. The garden, ‘A Moveable Feast’, was designed by community gardener Kate Turner and a group of Army spouses. The idea was born after the group attended a grow-your-own workshop with Kate and were interested in finding out how they could grow cheap, edible crops that could be moved easily; a regular occurrence for Army families. Yellow calendulas were planted in Army boots around the garden to symbolise the hope the spouses feel while their soldiers are away. Children from the barracks were also involved in the design and wrote positive messages on yellow ribbons attached to the fencing.